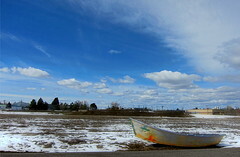 .. At this time of year very few of our neighbors fish the Gallatin River below Big Sky. .. Very few folks from the lowlands fish above Big Sky. Probably a wise decision. ..Right now the river is in prime shape for catching, both above and below Big Sky. .. There is optimum flow - not too high, not too low. Last year's good spots have not yet been rearranged by high discharge runoff. .. The water is ice-free, cold and clear. All the fish are exhibiting their most opportunistic feeding behavior after a long winter. 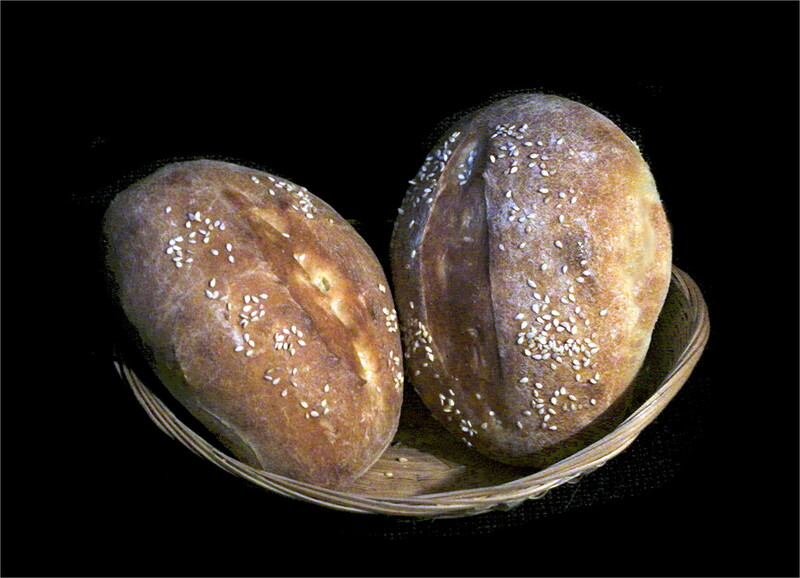 Small bugs are present on the surface. .. Neotenous nymphal forms are responding to photoperiod and water temperature. Last year's fry and this year's spawn are in the shallows eking out a living and being eaten. .. 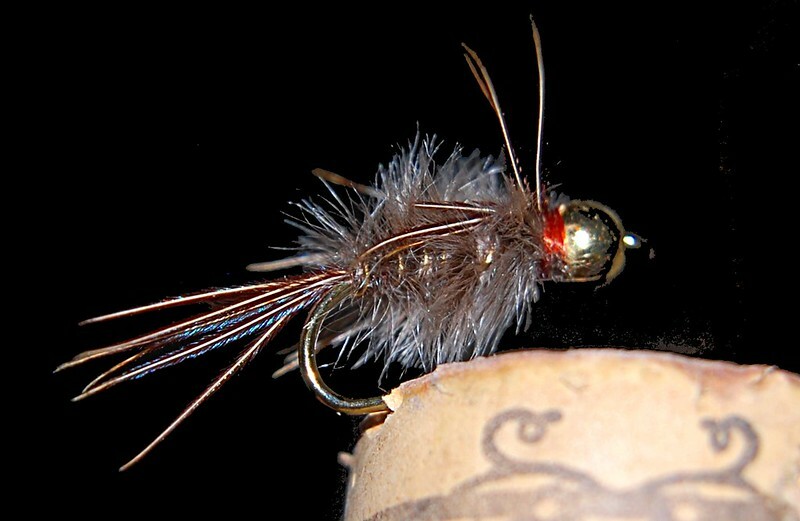 The mature trout in the river are active and willing to dance with most any fly within reach. 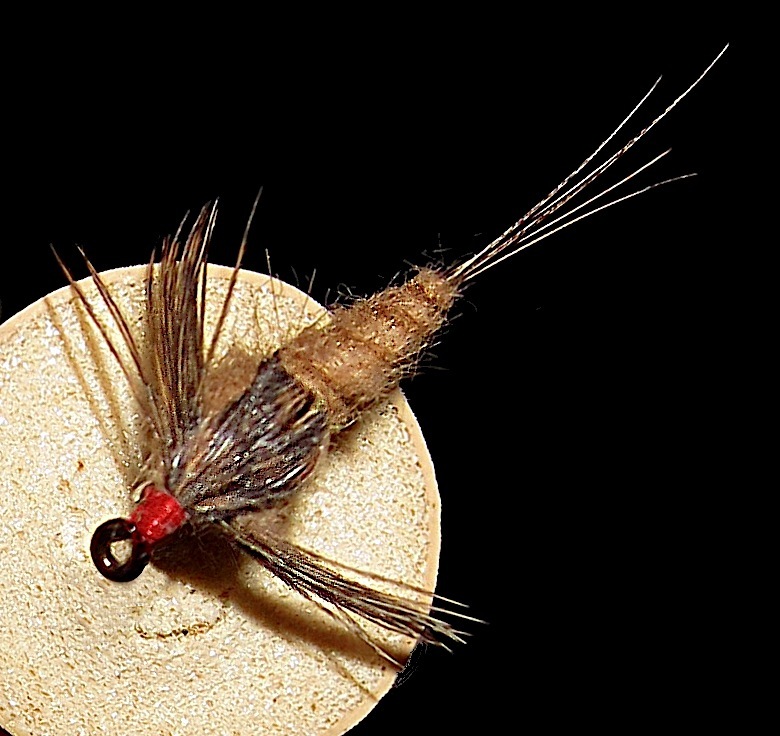 Small streamers, big nymphs, small nymphs, attractor dry flies both large and small - fluffy and sparse, and even deer hair poppers are fair game. ..The action is not fast and furious - it is persistent and rewarding. The water is cold and on occasion there is bluster and snow - sort of normal for this time of year. 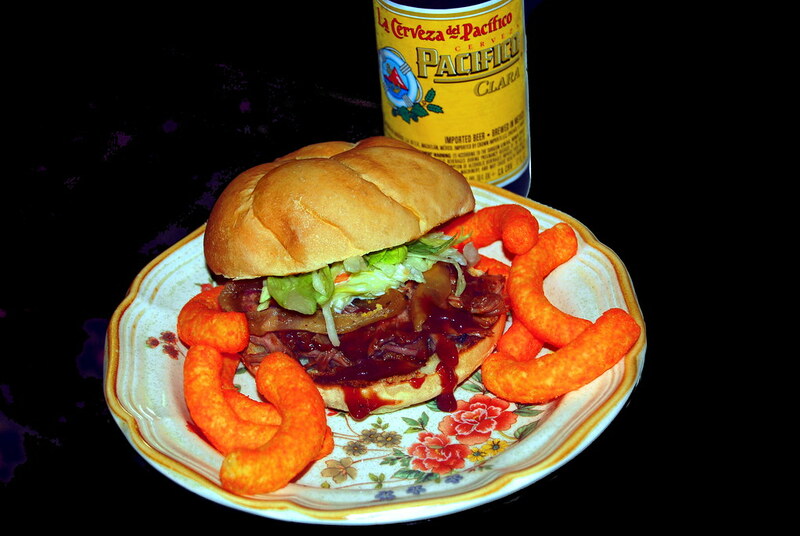 .. Take a lunch and spend the day. .. If you are any place close to Missoula, Montana during the first weekend in April, (this year,) drop by Caras park and join in the revelry. ----- 2. The public, (all of us and the whole town of Missoula,) is invited to the Down the Hatch festival at Caras Park. ---- 3. 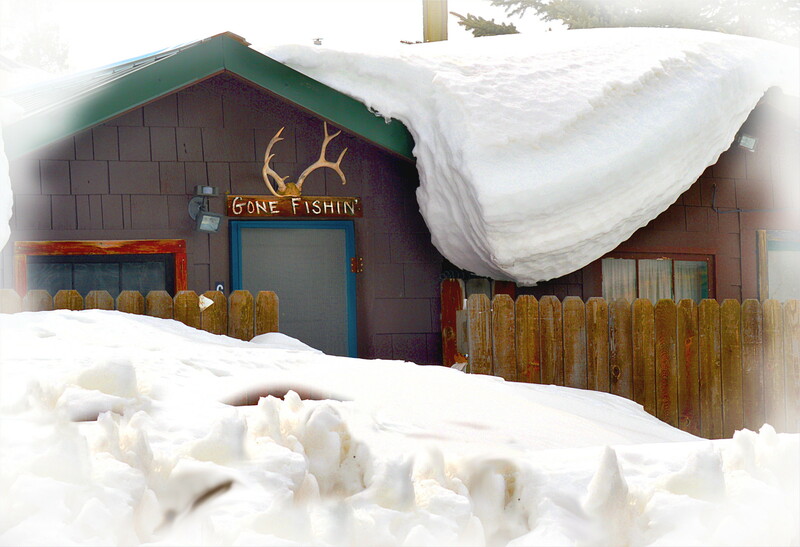 An open party in Craig, Montana - supposedly after fishing hard. Missoula, Montana – For the past 28th years Orvis has held a Guide Rendezvous, an event for Orvis-endorsed guides to network and compare notes. A plethora of seminars and workshops take place over the course of the three-day gathering, covering topics from CPR, boat and vehicle safety, and habitat protection to social media and casting instruction workshops. This year Orvis is throwing the gates wide open and all professional guides, Orvis-endorsed or not, are welcome to attend the seminars and Guide Olympics, taking place April 3-5, 2014. 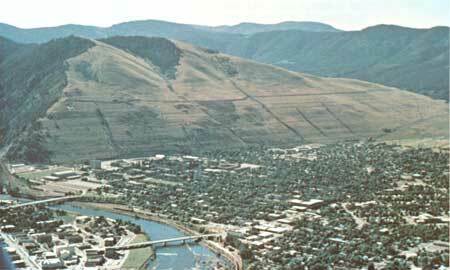 Missoula is once more the host of the Rendezvous. With its strong fly-fishing culture, collegiate atmosphere and outdoors heritage, “Zootown” is the perfect stage for a gathering of guides. After the business part of the Rendezvous, join us on Saturday, April 5, 2014 for a celebration worthy of Montana’s fly-fishing culture. The entire town of Missoula – and anyone else who cares to join in – is invited to the Down the Hatch festival at Caras Park. While fly fishing was once the province of tweedy old guys smoking pipes and sipping Scotch, it has been energized in the past decade with a strong youth movement. We celebrate that movement – and nod to the past – in a party alongside the mighty Clark Fork River. Down the Hatch vendors include various food peddlers, Smith Optics Sunglasses, Big Sky Brewing, NRS, Scientific Anglers, Sawyer Paddles, Hog Island Boat Works, Adipose Boatworks and many more. Performances by the popular local band “Lil’ Smokies” promise to create a ruckus and encourage dancing. Saturday evening will be topped off with the Orvis Fly Fishing Film Festival at the Wilma Theatre. Hank Patterson of YouTube fame will kick off the evening, encouraging anglers and guides to learn to laugh at themselves before we get into the depths of fishy filmmaking. A modest $10 donation enters participants into a raffle for a variety of “big kid” prizes, including a Helios 2 rod outfit, a trip to El Pescador Lodge in Belize and various guided trout fishing trips in Montana. All proceeds go directly to Montana Trout Unlimited for their habitat protection work. For further information on the Guide Rendezvous, visit www.orvis.com/ogr, or for the Down the Hatch Fishing Festival visit www.orvis.com/dth. Or contact Tom Rosenbauer at rosenbauert@orvis.com or 802-362-8521. .. To find out more and/or to register for the pro segments just CLICK HERE. .. "Just like the fish." is what Bill Shaadt would say when asked how to pronounce his last name. That reply has become as much of a legend as the man himself. 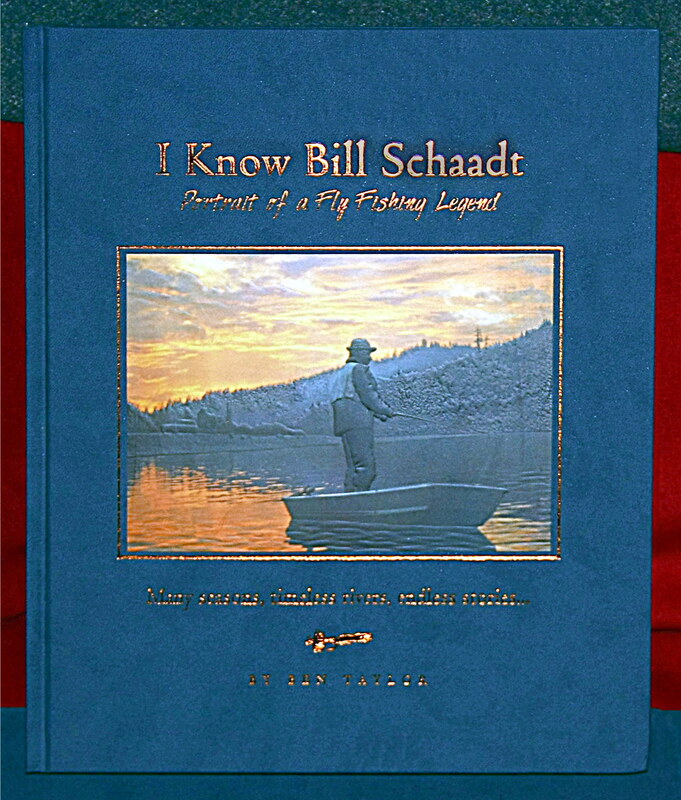 I KNOW BILL SCHAADT is a book for those who knew him and a tribute to his person and life. .. It is also a book for those that never knew him but would have wanted to. 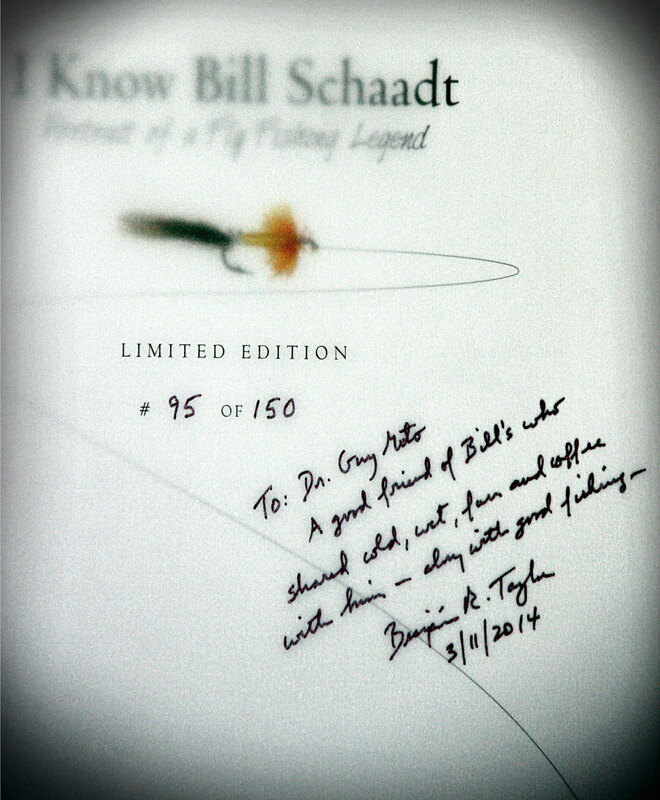 It's a book with recollections of the folks who knew and fished with Bill. Through their eyes and through their words is painted a loving and respectful portrait of a California fisherman who went where the fish were and caught them almost at will. 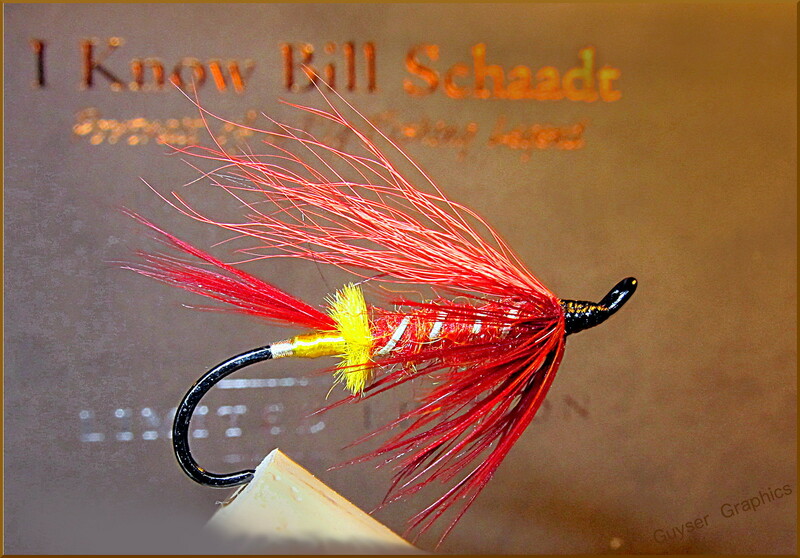 .. Bill was and is, of course, famous for his prowess in catching the steelhead of the coast of western North America. He was just as good at catching the salmon, stripers, and on rare trips inland to the delta to stick a bass or two. .. There are anecdotes, (both famous and infamous,) about his behavior, sense of humor, dedication to the fish, and persistence in their pursuit. The little stories included in the book also round out the three dimensional person: human, alive, vibrant, and a hard working artist and inventor. The book is well worth a read. It's possible to even learn a bit about catching fish. .. The volume comes in two versions: hard cover for $49.95, hard cover with heavy slip jacket for $100.00. Given today's market either is an exceptional value. The book even has it's own web page. Click on over and give it a look. 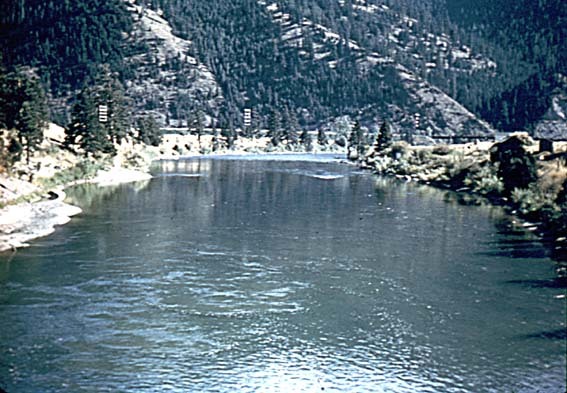 .. Gualala, Smith, Babine, Russian, Klamath, Chetco, Eel, Van Duzen*, and many other river names are the stuff of legend and lore. The man who fished them helped make their legends, he is part of their lore and more than a legend himself. This tribute to Bill is worth much more than just a place on your coffee table. *DAMN DUZEN TO THOSE OF US WHO LUV IT. .. The bottom has fallen out in town. 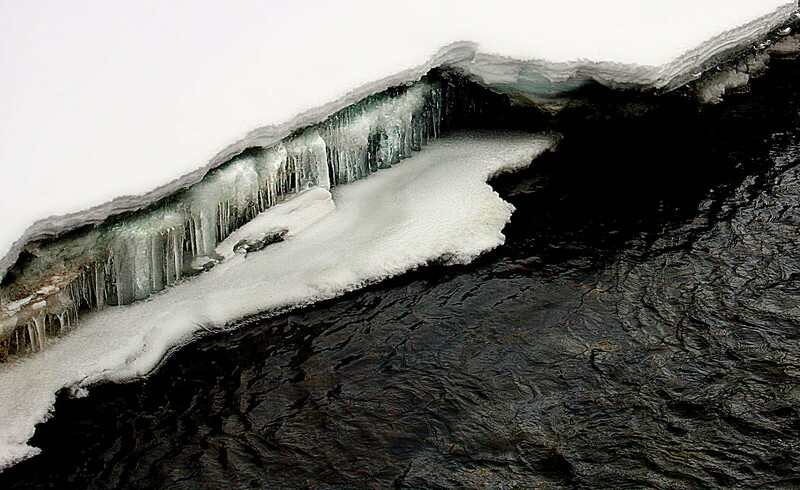 Meltwater is under the snow. .. A few redds have been spotted on the Madison River, (below the dam,) Between the Lakes. Can Spring be far behind? Probably! 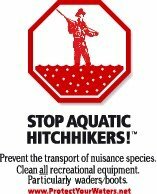 .. We're taking our cue from the neighbors and laying in a supply of basic subsurface flies for the early part of the season. 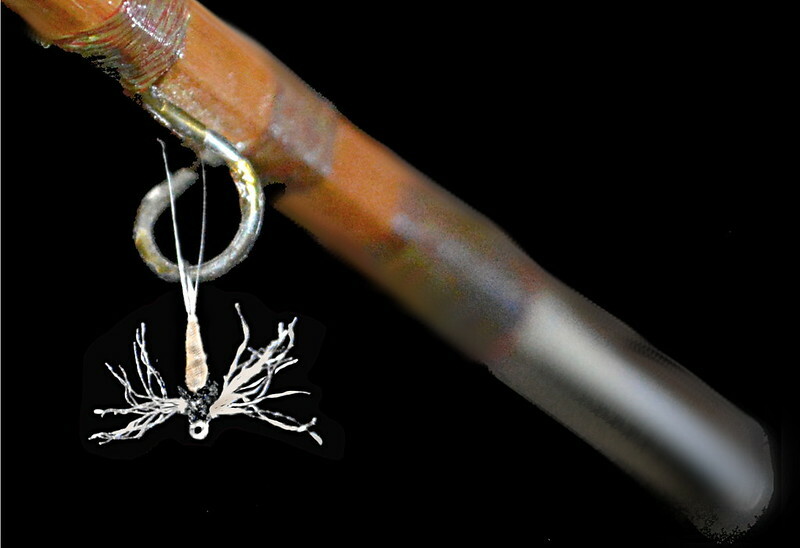 Even the itinerant guides are tying a bunch of basic nymphs. Fly size and depth will be important early on. 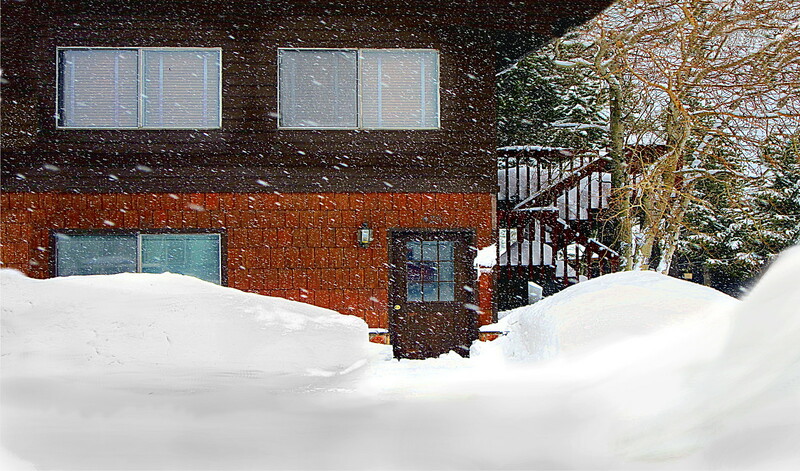 .. Obsessing about snow depth and snow water content is beginning to dominate conversations at the post office, grocery store, hardware store, and at the pharmacy. .. Despite the few warm days we've had there is still a bit of winter to come. 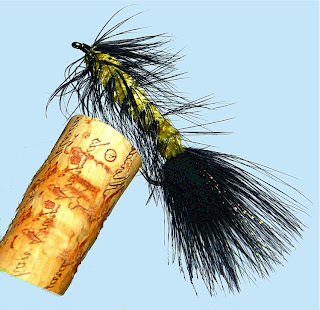 For an excellent prognosis about the upcoming spring and the water situation check out the News Page At Parks' Fly Shop. .. Into to the hint of Spring march our neighbors and the soon to spawn fish Between The Lakes. .. Late Winter, (so far,) has been gentle and moist. It seems that the bitter cold has left us for the moment. Our days are bright and snowy. Temperatures just cold enough to keep the snow on the ground and warm enough to stir the catching lust among those that fish. .. 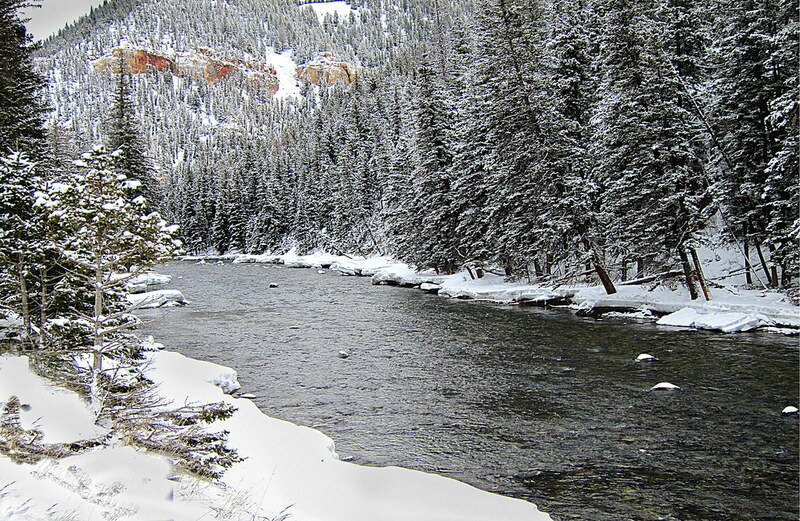 Many fishers, around here, abandon the streams for skiing or sledding or other cold weather activities. Some, (more than you'd think,) keep at it and they catch the hungry fish of Winter. 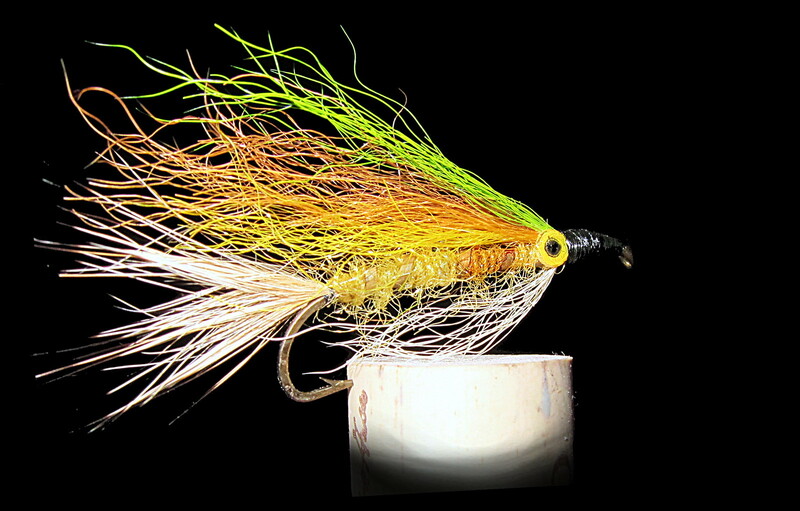 The fisher folk are now switching from midges and other bits of fluff to streamers of various sorts. .. Right now there is a brief window of opportunity to beguile large migrating fish that are on their way to sexual revels in the shallows. .. These fish move, nay - are driven to the spawning gravels and are angry, aggressive, and hungry. Soon they will be just aggressive and there's little sport in that. .. These are fished in the seam between the main current and the soft water along the shore. 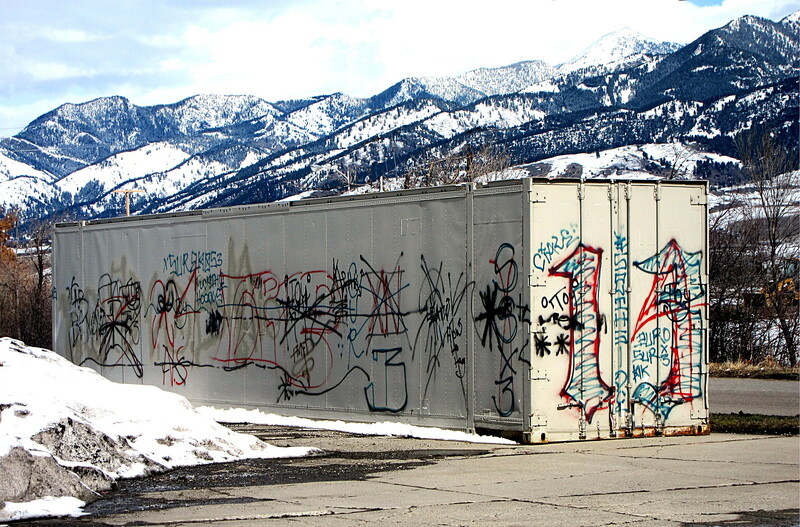 Drift a bit - then short smooth jerks, - etc. .. There are no formal names for these two flies. There could be 50 of them in existence. Maybe a few more or less. The names used here are the current reference names that the fishers in the neighborhood are using at the moment. The flies have become fairly standardized over the last few years but there's always room for innovation. The neighbors have been at it for about two weeks and will now allow us to share them with you. Hackle: Red calf tail hair.